Two of London’s most unforgiving theatres have claimed two more victims. When an artistic director fails on their main stage, a simple critical failure is quickly transformed into an existential crisis. Actually, though, I’m not sure Norris has a huge amount to worry about. There have been a few recent stinkers, but there’s also been Follies and Amadeus – two superb productions. Meanwhile, Norris has previously proved his own mettle – The Amen Corner, Everyman, Threepenny Opera and Market Boy have all shown he can make this space work. If that weren’t enough, despite the travails in the Olivier, he has two other theatres that are enjoying genuine golden periods, as 22 nominations in this year’s Olivier Awards attest. And Macbeth has already sold out. The same cannot be said of English National Opera. When things are going badly in its main space, it does not have a Dorfman or a Lyttelton to fall back on. So, the pressure to succeed in the 2,350-seat London Coliseum is even greater. And the space is arguably even less forgiving – certainly in terms of capacity. 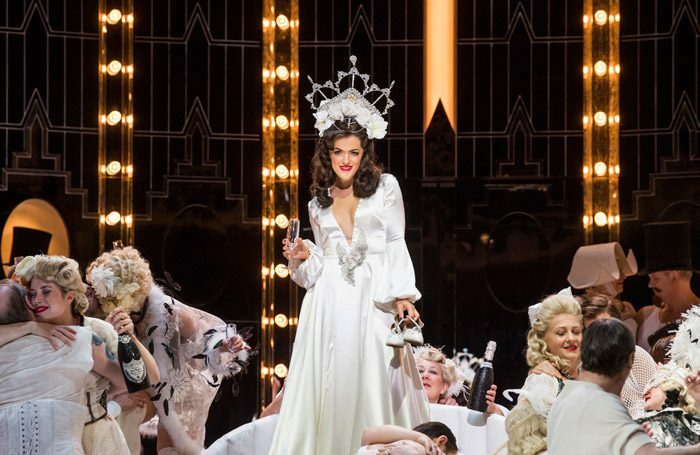 Daniel Kramer has discovered that to his cost this week, as he made his debut as artistic director of the company with a staging of La Traviata (like Macbeth, a crowd puller) that has been roundly panned (review, p17). In both cases, it’s too early to be talking about nuclear options. The National has performed at a high level for a long time and it and Norris have earned the right to occasionally fail. With its history of lurching from one crisis to the next, ENO, however, is skating on much thinner ice, but with a new team in place, it must still be given some time to make its mark and turn things around.